From January 2015 to April 2018, Erdyn has coordinated the project TAIPI “Tools and Actions for Impact Assessment and Policy makers Information”, a Coordination and Support Action (CSA) supported under the “Policy environment for FET Flagships” call of Horizon 2020. The general objective of TAIPI was to support and strengthen the FET Flagship Initiative, in particular the two selected Flagships – Human Brain Project Flagship (HBP) and Graphene Flagship. Flagships, launched and funded by the European Commission (10 billion € over 10 years) are visionary, science-driven, large-scale research initiatives addressing grand Scientific and Technological (S&T) challenges. They are long-term initiatives bringing together excellent research teams across various disciplines, sharing a unifying goal and an ambitious research roadmap on how to achieve it. The objective of FET Flagships is to establish Europe as the leader in their specific domains and a pole of attraction for international cooperation. Trainings were organised for the Flagships staff to enable them to use the web-based tool developed by TAIPI. The impact assessment framework and methodology were applied successfully in two impact assessment rounds performed for the Flagships. The framework and web-based tool were provided to the Flagships. The Flagships will decide how to make use of the outputs of TAIPI in the course of their action’s implementation. The findings of TAIPI indicate that the Flagships are Europe-wide excellence projects, involving leading European universities, research organisations and companies. For example, among the top 20 European universities according to the Times Higher Education (THE) ranking, there are 14 which are participating in HBP. Flagships generate strong and interdisciplinary research networks, and significant publication output in leading scientific journals such as Nature, Advanced Materials, and Physical Review B. Knowledge transfer and exchange among research and business is ensured through formal and informal collaboration. Flagships are important educational projects and educate sizeable numbers of PhD students; e.g. in the period 2016-18 HBP had about 190 PhD students. The Flagships also reach out to the wider public and citizens through exhibitions, TV features and other information measures. Graphene Flagship was involved in an exhibition on graphene material, which was organised at the largest science museum in Scandinavia, the Universeum in Gothenburg, and which was seen by more than half a million visitors. 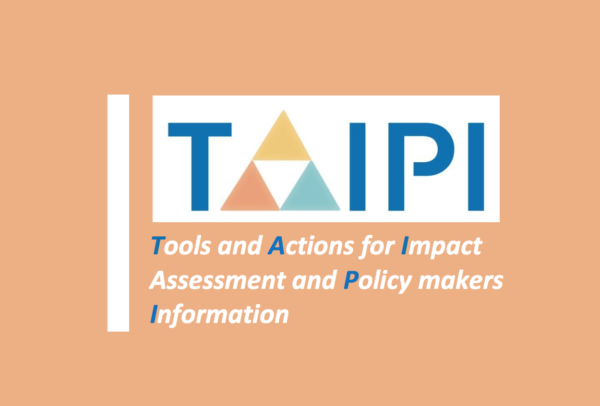 A public synthesis of the TAIPI impact assessment method is available in the final public document of TAIP. More information on the TAIPI website.